JioFi is user-friendly. This device provides free wifi. It is a personal hotspot, which is easy to carry. The device just looks like a mobile and easily fits in the pocket. Using JioFi device we can connect mobiles and laptops to the 4G network. The speed of JioFi is also good. But few are facing low speed. Here are few Tips To Increase JioFi Slow Internet Speed. One can check it out in our article. Internet speed of and device depends on signal strength, network and more. People who are facing low internet speed on JioFi device can follow few steps to increase it. Here are few reasons why the speed of the Internet on JioFi Router decreases. 1. First of all, check the data usage on a daily limit basis. If the limit exceeds your plan, then a speed of the internet is decreased to 128 Kbps. 2. Second is signal strength. If the strength of the signal is low then automatically speed of JioFi device is reduced. 3. Later check the speed of JioFi router using Speed test. 4. Now also check the distance of the connected device to JioFi router. Keep the connected device at a 10-meter radius to JioFi router. So the speed of the internet will be high. 5. We should connect only a few devices at a time to JioFi router. If we connect more devices, automatically the speed of JioFi router will reduce. JioFi Router is now been used by many users. It is easy to carry and easy to access. Using this device we can connect many devices like mobiles, laptops and even computers. The cost of JioFi Router is also reasonable. 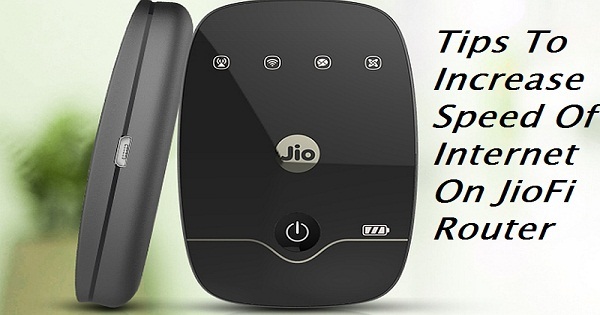 JioFi Router works on Jio Sim. It is simply a Wifi Portable Hotspot. JioFi Router is portable and this is the main advantage. Now coming to speed, few are facing low internet speed while using JioFi device. So for them, it is the right place. We have provided few steps to increase the internet speed on JioFi Router. Kindly check Tips To Increase JioFi Slow Internet Speed. Tip 1 – JioFi Router is to be placed in an open space. If it is placed in a closed area, the strength of the network will be low. 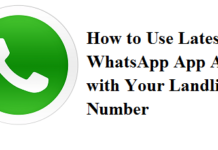 Tip 2 – Connect the device to open DNS or can also connect it to Google DNS. This helps to increase the internet speed of JioFi Router. Tip 3 – Set a password to JioFi Router so that only people you wish to access will use it. By setting a password only a few people who know the password will use it. Doing this the speed of internet will be good. People who are facing Low Internet Speed On Using JioFi Router can check our website for few tips listed above. For more updates about JioFi Router can be checked out here. Stay tuned to Times alert for more updates.